If you’ve ever lost your favourite socks or your phone, your parents will probably tell you to take a good look around in your bedroom. But sometimes you can lose something while you’re at Schiphol that isn’t so easy to recover because the airport is very big. If that happens, you can contact the Lost and Found desk. They recovered 62,000 items last year alone. 62,000 is a lot of stuff – enough to put one object on every seat at the Ajax Amsterdam Arena! Many travellers lose things at Schiphol. Every morning, our Lost and Found team sets off with a big cart along various locations at Schiphol. That allows them to collect many objects from our security check area. 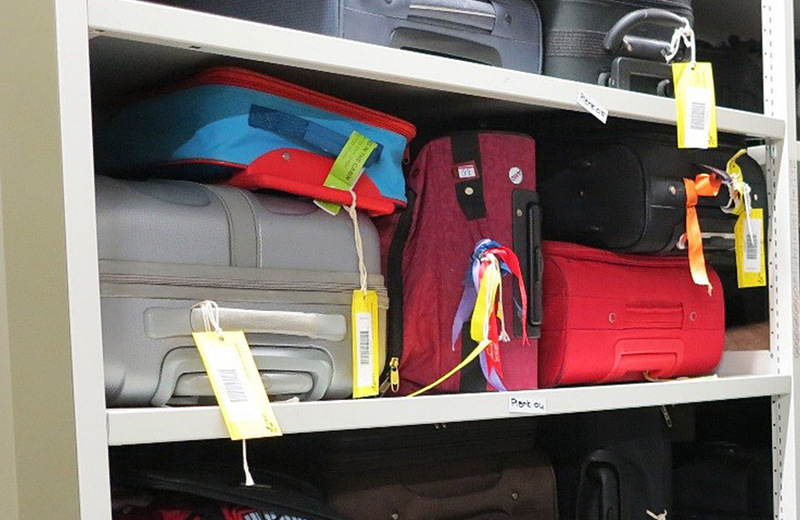 When travellers arrive at Security, their handbag or baggage is passed through a scanner and Security employees check to see that they do not have any prohibited items in their bags. Many travellers leave items behind in this area, and the team collects around 200 items per day. 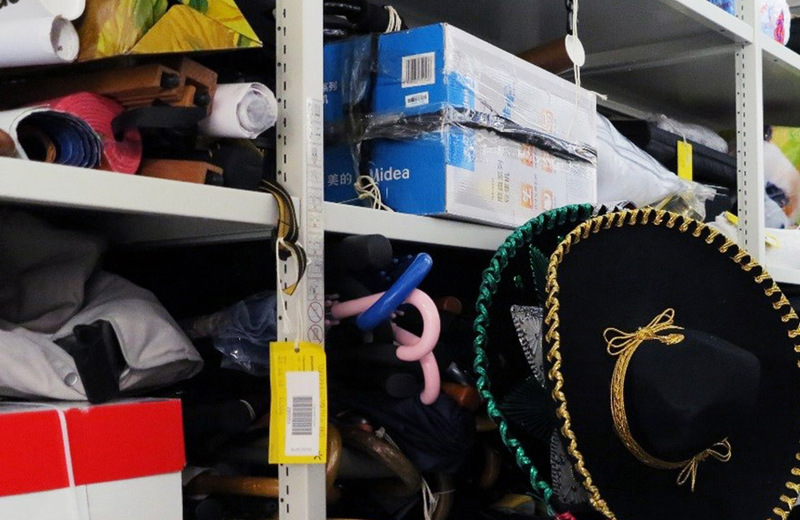 The lost items we find are stored in a warehouse. As you can imagine, we have to keep records of these things in a tidy manner. We store laptop, credit cards, coats and jewellery together. All items that are worth less than 450 euros are kept for 3 months. More expensive items – like the latest Macbook, for instance – are kept in our warehouse for a year and a month. 33% percent of all the items we find return to their owners. That may not seem like much, but people will often not go to the effort of recovering low-cost items like sunglasses or bags. If the owners don’t collect their items, the items go to auction. Auctions are a kind of market where people can place bids on something they want. 40 carts worth of various lost items are auctioned off about 4 times a year. Any evidence of names or photos of the original owners are destroyed. Any packaged food we find at the airport - from chocolate to tea boxes – is sent to the Food Bank, and ends up in food packages for people who do not have money for groceries. You will be amazed at what we find at Schiphol. Because it really is not just coats, telephones and debit cards. We’ve found items like a trombone, violin, dentures, rice cookers, sanders, sombreros, an expensive Rolex watch and $10,000 cash. Our team has found just about everything you can imagine! If you lost something at Schiphol, simply visit the Lost and Found counter in the basement between Arrival 1 and 2. Alternately, you can complete the Lost & Found form on our website. We check to see if we have found the lost item based on your description of what you have lost. It’s important that you make sure that you can recognise your own property and tell us its distinguishing characteristics – like a brightly-coloured phone case, or a photo of yourself as a background on your tablet. That’s because we only hand over stuff if you can prove that you are the owner.